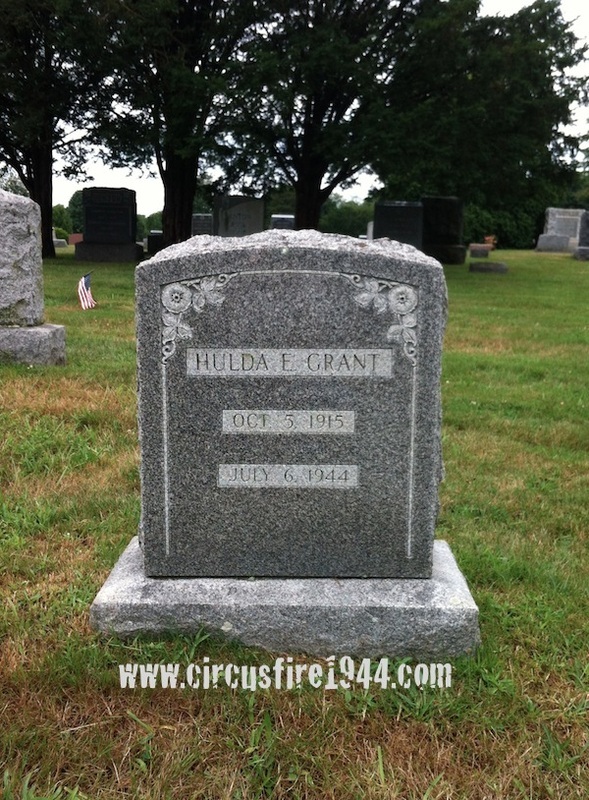 Mrs. Hulda Elizabeth (Miller) Grant of 143 Cannon Road, East Hartford, was born October 5, 1915 in Guilford, Connecticut, daughter of Guilford natives Mary D. (Bishop) and William R. Miller. 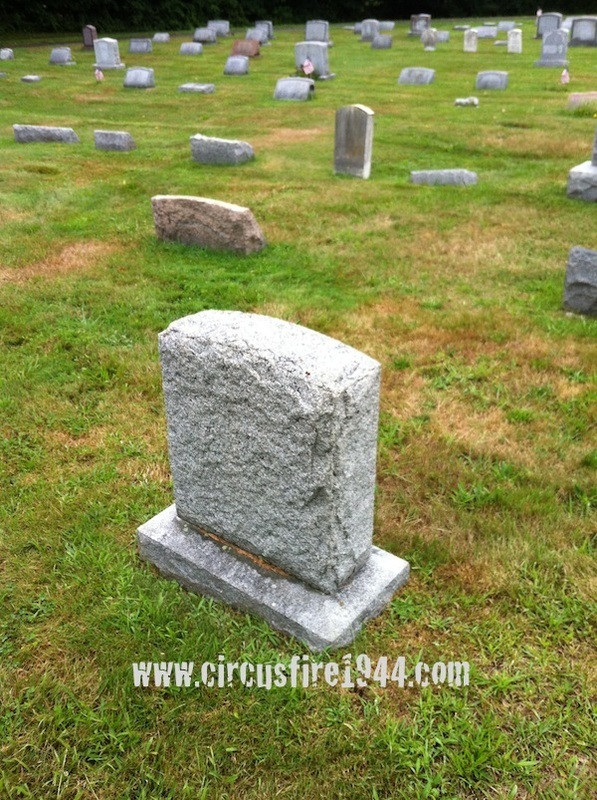 She was found dead at the circus grounds after the fire on July 6 and was buried at Alderbrook Cemetery in Guilford after services at Taylor & Modeen Funeral Home. 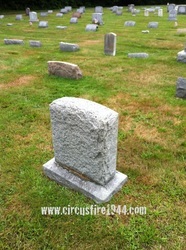 She leaves her father in New Jersey; her daughter, Caroline Mae Brown, 7, who lived with Hulda; her husband, William B. Grant, 36, from whom she was separated; her aunt Anna (Bishop) and uncle Gilbert Gates, with whom Hulda had lived for many years after her mother died in 1917; her brothers Raymond W. Miller, 37, with the U.S. Army and Robert Miller, 35, of New Jersey; her sister Mrs. Gladys Woolley, 30, of New Jersey; and another sister in Pennsylvania. 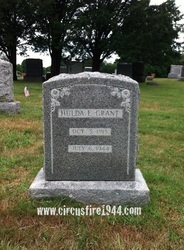 Hulda attended the circus with her daughter Caroline, her friend Frank Golloto, 30, and Donald Gale, 10, whose mother was a friend of Hulda. Mr. Golloto and Caroline escaped relatively uninjured, however, Donald was seriously burned and would require extensive medical treatment. Hulda never made it out, and Frank identified her body at the State Armory on Thursday, July 6. Her estate was awarded $9,000 by the arbitration board.